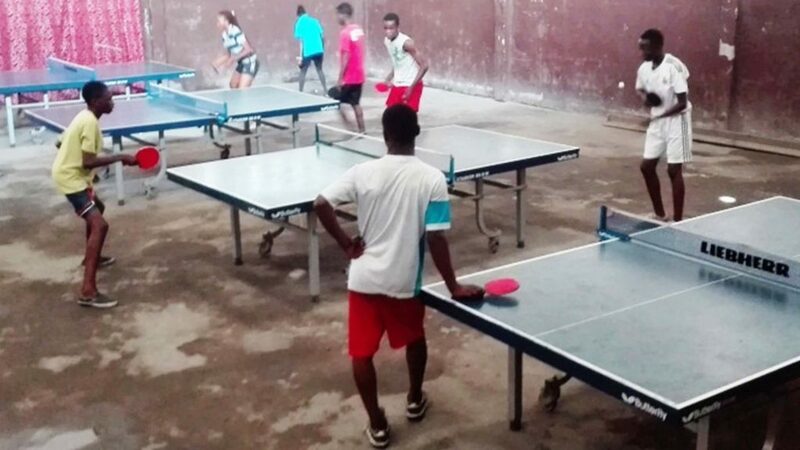 Political problems in recent years, troubled times; nevertheless in the capital city of Kinshasa, the Table Tennis Federation of the Democratic Republic of the Congo is making every effort to move forward, achieve higher levels. Recently from Wednesday 7th to Tuesday 13th December; organised under the guidance of the ITTF Development Programme in conjunction with The Foundation for Global Sports Development a Hopes Week was staged alongside a training camp for the national team. Head coach for the whole proceedings was Frenchman Sylvain Chermette; he was assisted by local coaches Joachim Kabongo and Thomas Mundele. 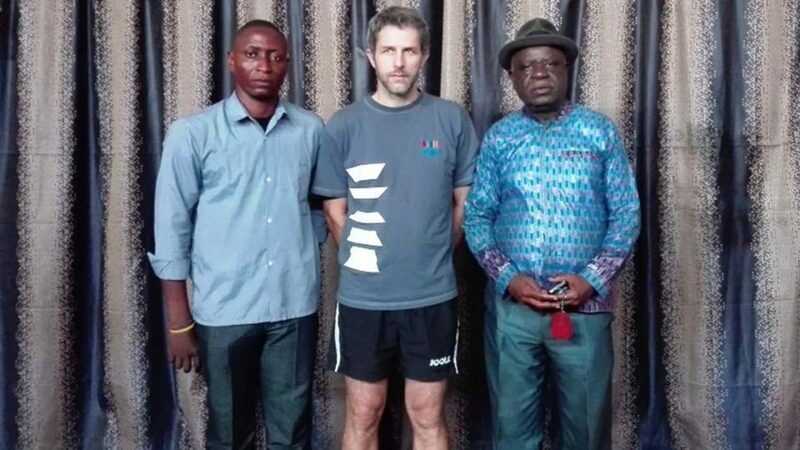 Notably, it was Sylvain Chermette’s second visit to the Democratic Republic of the Congo; in early January 2014 he had been the course conductor for a coach education course followed by a training camp. Everyone responded to the efforts of the coaches, some members have competed internationally and had attended training camps in Asia. Undoubtedly having experienced players present helped with raising levels amongst the young players; they were able to practise alongside their more senior colleagues. A positive response; one that pleased Sylvain Chermette, one aspect in particular being the performance of the girls who attended; perhaps that fact was a legacy of the visit some three years earlier, when a vital aspect of his visit was to focus on encouraging female participation. Positive efforts by the national federation for whom St. Mathieu Muana Mbuta, the President is very much the driving force, the source of inspiration. At the training camp, he was present each day offering words of encouragement. Furthermore, his presence not only encouraged the players and coaches; it attracted the local media. Two interviews, with local televisions stations were conducted, a major boost for the country. Undoubtedly the training camp was a success; the Democratic Republic of the Congo may have some distance to travel to match the likes of Egypt and Nigeria but most certainly they are set to climb the ladder. They are set to become one of the more prominent countries in Africa.